This department plans and executes a wide range of community events throughout the year to promote the Arts, theater, family and music activities. Our diverse programming is designed to appeal to the entire community and bring people together. We also provide assistance to local organizations for their annual Hoboken events. including rides, games, craft activities, face painting & sand art. Today, the words "blues" and"shouting" are, alas, inextricably linked, but what about the tradition of mellow blues crooners that extended through Charles Brown, Nat King Cole and, in their more romantic moments, Joe Williams and Ray Charles? "Buster Poindexter" (nee David Johansen) first attracted attention asa glam rock pioneer (in the New York Dolls, with whom he still tours) and then as an early MTV idol (with "Hot Hot Hot"). Yet with his big, deep, resonant voice, Buster Poindexter is most impressive as a crooner and occasional belter of ballads in the classic R&B tradition. 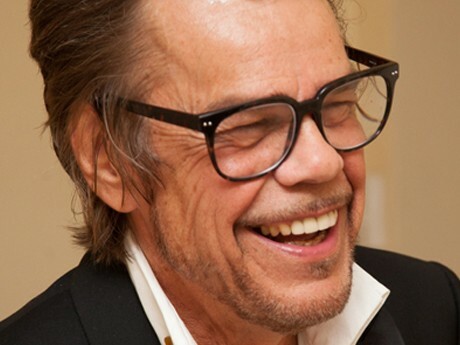 His ongoing run affirms the point that however you know him, the artist known as Buster Poindexter, complete with his one-liners and longer comic monologues (not to mention his signature pompadour), is one of the most endearing and enduring entertainers currently trodding the boards in New York. Rock/Americana artist Debra Devi's growing acclaim as "one of the most remarkable guitarists on the East Coast." 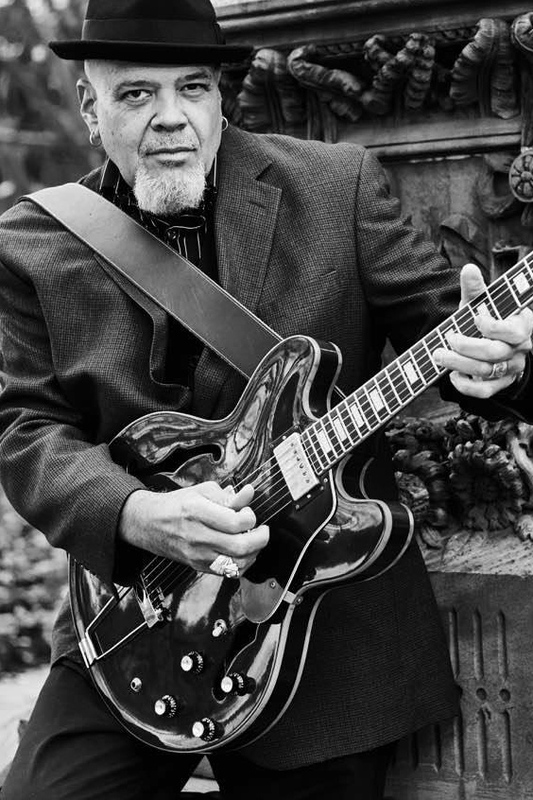 (Good Times magazine) has led to opening slots for Marshall Crenshaw and Ana Popovic, and a recording collaboration with Gov't Mule bassist Jorgen Carlsson. "Devi stands out as a true triple threat," writes Jim Testa in the Jersey Journal, "a gifted songwriter, a powerful singer and an outstanding guitarist." 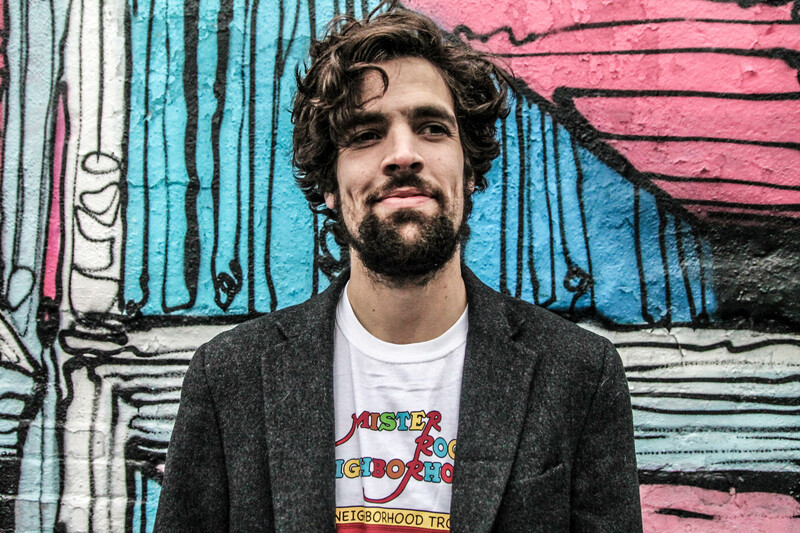 James Calleo is a singer/songwriter, has been calling Hoboken home since 2013. Calleo’s music, inspired by his travels around the country and the world, is deceptively mellow; the songs seem to start off with easygoing guitar strumming and then slowly, the band leads them into something multi-layered and surprising. Whether the tunes are built from big heart or big energy, they tell us stories. Well crafted stories. 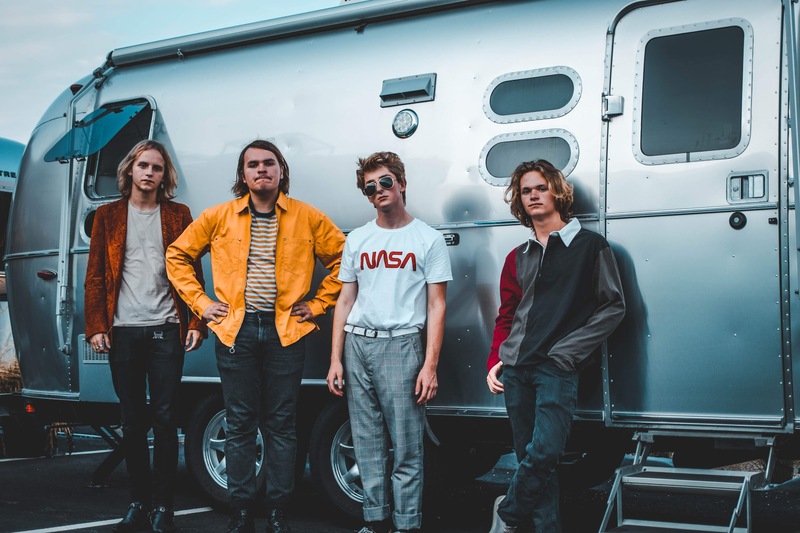 Sonic Blume is an indie, dream pop band from Asbury Park, NJ recently named one of the “Top NJ Bands You Need to Hear in 2019” by the NJ Star Ledger/NJ.com. Their sound is reminiscent of 80s alternative/synth pop, a unique blend of The Smiths, New Order and The Cure. 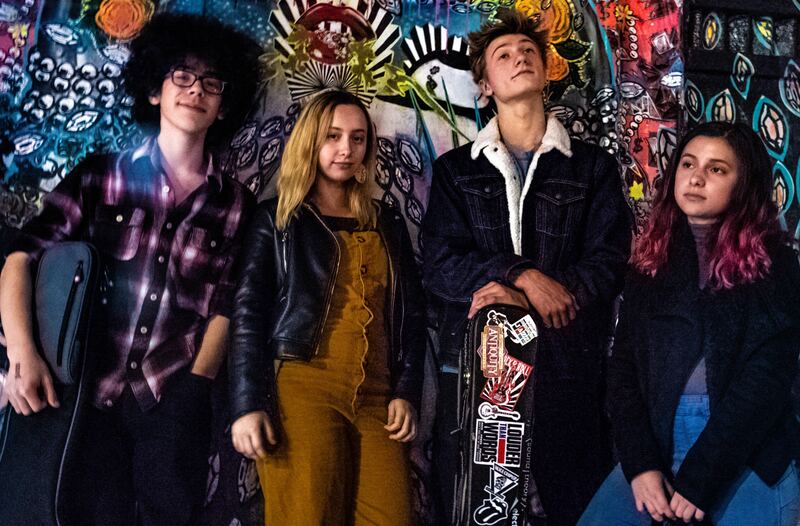 Their debut EP “Sonic Blume” released in 2017 to rave reviews, earned them the 2018 Asbury Park Music Award for “Top Young Band Under 21,” and their second EP “Beach Karma,” released last summer, was named one of “NJ’s Top EPs of 2018” by YouDontKnowJersey.com. Their music can be streamed on all major music platforms and has been aired on several college radio stations and NJ’s WRAT 95.9FM. Check them out at www.sonicblume.com. Karyn Kuhl been has a key player in the Hoboken music scene ever since her acclaimed early bands Gut Bank and Sexpod were favorites at Maxwell's. With her current group — featuring James Mastro (the Bongos, and April's Mott the Hoople reunion tour) on guitar, Larry Heinemann (Blue Man Group) on bass, and the mighty Jonpaul Pantozzi on drums — Karyn rocks more commandingly than ever before. It's no wonder the Karyn Kuhl Band's song "Be Your Friend" was recently featured on the breakout TV hit Good Trouble. Mariachi Artistico is an authentic family managed mariachi band. 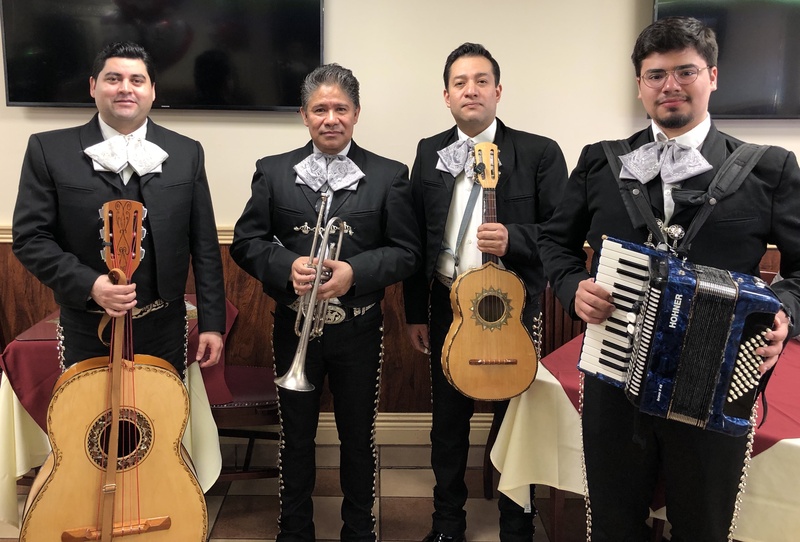 Its founders come from three generations of mariachi musicians who have helped preserve and promote mariachi music in the tri-state area. Their purpose is to deliver happiness with their music and provide an experience you will never forget. Hay rides, a hay maze, pony rides, petting zoo, trackless train, inflatables, moonwalk, face painting, spin art, sand art, pumpkin painting, balloon art, craft activities, soccer, dance & gymnastic demos, live music & dance and much more. Line of march setup for the parade is on Washington & 13th St. beginning at 3pm; Costume contest at Little League Field on 5th St. & River Terrace. Prizes awarded for best costumes. Sponsored by Litzky Promotions. with Elvis the Elf, an appearance by Santa Claus and much more. Takes place In front of City Hall, 94 Washington St.
3 floors of unique handcrafted gift items for that special someone. Mrs. Claus will be on site both days doing face painting. Just 3 blocks from PATH, NY Waterway Ferry, NJ Transit Trains & Hudson Bergen Lightrail. The #126 NJ Transit Train stops by City Hall. SILVER: My Gym Hoboken, Muller Insurance, Getaround and NY Waterway Ferry and The Hoboken Public Library. BRONZE: 10th & Willow Bar & Grill, Hoboken Radiology, Singleton Galmann Realty, Inserra Shop Rite of Hoboken, Premiere Foot and Ankle, Halifax and Tenefly Pediatrics. The public parks in Hoboken are wheelchair accessible. Program Materials for the performances are available in Large Print upon request. Assisted listening device is available upon request, with 3 weeks notice. Contact gfallo@hobokennj.gov for more information. • Alex Morales Atelier and Art Gallery - 365 First St.
• Barsky Gallery - 49 Harrison St.
• Field Colony 1001 Bloomfield St.
• PROTO Gallery 66 Willow Ave.
• Roig Collection - W Hotel Hoboken, 225 River St. and 252 First St.
• Guitar Bar - 160 First St.
• Hoboken Historical Museum - 1301 Hudson St.
• Hoboken Public Library - 500 Park Ave.
• Little City Books - 100 Bloomfield St.
• Shop Rite: 90 Madison St. Even though there are many locations, the tour is designed so that you can easily walk from studio to studio, gallery to gallery. Since Hoboken is only a mile square, every site is convenient to the next. As diverse as the art itself, the tour's popularity draws artists far beyond the banks of Hoboken. You will see art in many forms, representing an exciting variety of mediums. Visitors will have a chance to meet the artists, photographers, sculptors and artisans and witness the creative process at work. Even poets, musicians and performance artists will be on hand to make your day a memorable one. Celebrating their Past, Present & future as we explore their as they continue to create new exciting and inspiring music. No one in Hoboken ever talked about "the Hoboken Sound.” That was a term the media came up with to explain the extraordinary group of musicians who flocked to the Mile Square City (and specifically Maxwell's) in the early Eighties, looking for cheap rents and a hospitable place to play. They came from as far away as Louisville, Cleveland, and Winston-Salem, or from right up the block; and from the beginning, women played an important role in what was happening there: Karyn Kuhl, Alice Genese and Tia Palmisano from Gut Bank, Myrna Macarian in Human Switchboard, Deena Shoskes in the Cucumbers, Janet Wygal in The Individuals, Georgia Hubley (who'd form Yo La Tengo with her boyfriend, Ira Kaplan,) Jane Scarpantoni and Donna Croughn of Tiny Lights and so many more. Their music was made and inspired by the Amer-indie rock scene and made by friends and neighbors, influenced by each other, rather than the outside world of top 40 radio and Arena rock. ‍Alice Geneseis a Bass Player, Singer, Songwriter and occasional Guitar player. She cut her teeth in her hometown of Hoboken, performing, writing, and recording first with Gut Bank, then with Sexpod, both nationally touring bands. She currently plays, records and tours both nationally and internationally with Psychic TV. Music continues to be her passion. Post-punk pioneer, Karyn Kuhl, was a founding member of acclaimed Hoboken bands Gut Bank & Sexpod. She continues to blaze a trail as a powerhouse, triple threat singer, songwriter, guitarist and leader of the Karyn Kuhl Band. Brenda Sauter became a part of the Hoboken music scene in 1983, after joining the NJ-based band, The Trypes, as bassist. By 1984 she was playing with other Trypes-related bands, such as Yung Wu, The Willies, and The Feelies. She resided in Hoboken in 1984. After The Feelies stopped playing in 1991, she joined Speed the Plough (a band which was originally comprised of some founding members of The Trypes), and she joined Patricia Shaw to form a duo called Evaluna. In 1992 she met drummer Chris O’Donovan and then guitarist Rich Barnes, and Wild Carnation was formed. Anne Hopkins joined the band as keyboardist in 1999. 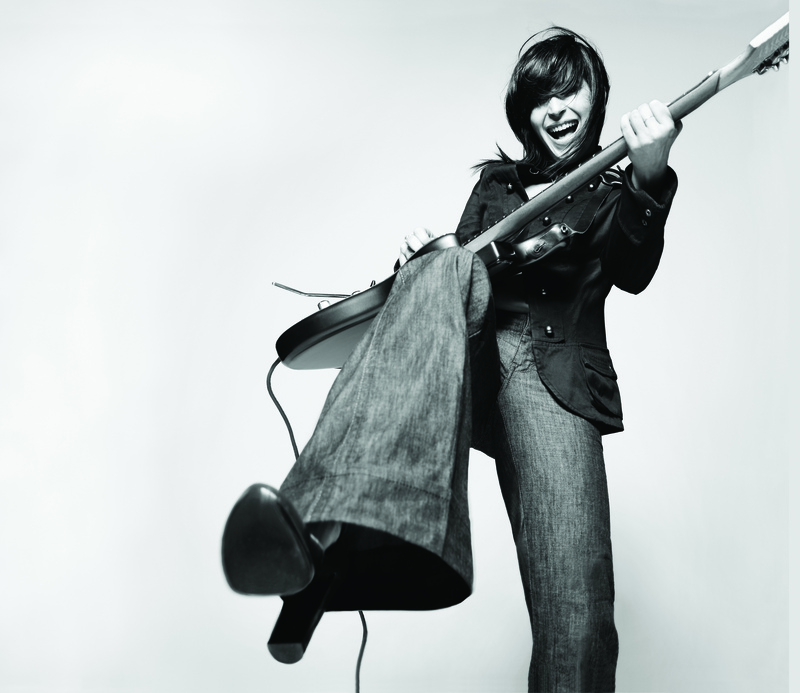 Janet Wygal is a songwriter, singer, and musician who has been playing indie rock since before anyone called it indie rock. She is best known for her work with the Individuals, the Wygals, Splendora, Wygalator, and for writing and recording, with Splendora, the theme song for MTV's Daria. Jane Scarpantoni is a classically trained American cello player who has played on a number of alternative rock albums. She was a member of Hoboken, New Jersey's Tiny Lights in the mid-'80s, then went on to play with other musicians especially those associated with the Hoboken underground rock scene of the 1980s and early 1990s, including Silverchair, Bruce Springsteen, Sheryl Crow, Patti Smith, Richard Barone, R.E.M., Indigo Girls, 10,000 Maniacs, Throwing Muses, Kristin Hersh, Lou Reed, Chris Cacavas, Bob Mould, John Lurie's Lounge Lizards, Boo Trundle, Train and many others. 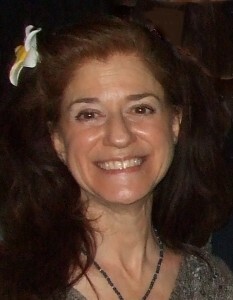 Deena Shoshkes began her music career as co-founder of “The Cucumbers” in the 80s indie pop scene in Hoboken, NJ, followed by “Over The Moon” (rock and roll for kids) “RockDownBaby” (lo-fi dance pop) and two solo albums as “Deena.” Her newest band “The Campfire Flies” will release their debut album in March of 2019. Deena’s songs have been recorded by Jackson Browne and Dar Williams and featured in films and on network TV. Movies Under the Stars - Click for 2018 Schedule FREE outdoor movie screenings, Wed. evenings in June, July & Aug Pier A Park, located on 1st St. & Frank Sinatra Dr., on the east end of the great lawn. Thurs. Aug. 29, 2019 • 5pm to 8pm Takes place along the walkway on Sinatra Drive bet. 1st & 2nd Streets.Lots of great food, live music & family atmosphere.Tickets available for purchase beginning June 10th at City Hall in the Cultural Affairs Office, 3rd floor. Takes place in front of the gazebo Wednesdays. in June July & Aug., 7pm to 9pm Church Square Park is located bet. 4th & 5th Street & Garden St. & Willow Ave.
An Outdoor Mural Project featuring work by local artists. Banner art is displayed on construction fences on Sinatra Drive bet. 11th & Hudson St. and Maxwell Lane; Maxwell Lane bet. Sinatra Drive and 11th St. and Hudson St. bet. 14th & 15th St.
New Location, Hudson Street bet. 14th & 15th St., featuring work by: Issa Sow, Ibou Ndoye, Ray Guzman, Sissi Siaka, Tim Daly, Jennifer Morris, Eugene Gleason, John Patterson, Liz Ndoye, Jean-Paul Picard, Claudia Kreiss, Donna O'Grady, Jodie Fink, Raisa Nova. Special thanks to Toll Brothers City Living for their continued support of this project. Featuring a performances by The Smithereens with guest vocalist Marshall Crenshaw, Joe Grushecky & the House Rockers and more. Over 300 artists, crafters and more. Great food. Kids area on 3rd Street. 3 stages of live performances. For more information: gfallo@hobokennj.gov. Click above for more info. Hay rides, a hay maze, pony rides, petting zoo, moonwalk, face painting, pumpkin painting, balloon art, craft activities, soccer, dance & gymnastic demos, live music & dance and much more. Line of march setup for the parade is on Washington & 13th St. beginning at 3pm; Costume contest at Little League Field on 5th St. & River Terrace. Prizes awarded for best costumes. BRONZE: 10th & Willow Bar & Grill, Hoboken Family Alliance, Hoboken Radiology, Singleton Galmann Realty, Inserra Shop Rite of Hoboken and Tenefly Pediatrics. Featuring a performances by The Smithereens with guest vocalist Marshall Crenshaw, Joe Grushecky & the Houserockers, RocknRoll Hi-Fives and more. Sun., Sept. 30, 2018 • 11:00am-6:00pm Washington St. between Observer Hwy. & 7th St.Featuring a performances by The Smithereens with guest vocalist Marshall Crenshaw, Joe Grushecky & the Houserockers, RocknRoll Hi-Fives, Zydeco Revelators Songs for Seeds and more. Celebrating The Life & Music of Jimmy Roselli. Born in West New York in 1925, Roselli was one of the most significant Italian-American pop singers of his time, during an era of competition from such performers as Frank Sinatra, Dean Martin, Perry Como, Vic Damone & Jerry Vale. The event will feature lecture, slide presentation, footage of interviews, concert & TV appearances, live performance by singer Theodore Chletsos & more. Hoboken Historical Museum, 1301 Hudson St. Sponsored by The City of Hoboken with a grant from the Hudson County History Partnership Program. This program is made possible by a grant from The New Jersey State Historical Commission, a Division of the Department of State, and administered by the Hudson County Office of Cultural & Heritage Affairs, Thomas A. DeGise, Hudson County County Executive and Hudson County Board of Chosen Freeholders. He was known as the other crooner from Hoboken. Michael John Roselli was born in West New York on December 26, 1925. His mother died and his dad split town, so young Mickey, as he was known, was raised by his Italian longshoreman grandfather in the Mile Square City. In his 20s, an agent rechristened the budding singer Jimmy -- Jimmy Roselli. As a performer, he was self-taught and sang with passion. Before long he was a regular at nightclubs such as a Copacabana in Manhattan. He had successful recordings in English and Italian, in a perfect Neapolitan accent, and showed up on television. But Roselli never reached the heights of Italian-American singers of the day, such as Tony Bennett, Dean Martin, Perry Como and his forever rival, that other skinny kid from Hoboken. Why wasn’t he more successful? Some blame the mob; Roselli had many fans in the mafia, but also refused to share his club earnings, which earned him some enemies. Self-sabotage may have hurt Roselli the most. He had a seven-show commitment on Ed Sullivan, but quit after three shows. Roselli also passed up appearances on The Tonight Show and in The Godfather II. Still, Roselli had his moments. He appeared on Broadway and sang at Carnegie Hall. Martin Scorsese featured Roselli’s signature tune, “Mala Femmina,” in his classic Mean Streets. He continued to perform until nearly the age of 80. And for many devoted fans, Jimmy Roselli will always be their favorite singer from Hoboken. I am interested in holding a block party, 5K run, or other event on City property. What is the process?